There's a patch of desert in the American southwest where something odd is happening. What is it — and what's causing it? Last year, while analyzing satellite data of greenhouse gas emissions from the ESA, NASA noticed something weird: At the "Four Corners" section of the desert (the place where Arizona, Colorado, New Mexico, and Utah meet) there was an empty patch of earth with incredibly high — and unexplained — levels of methane. 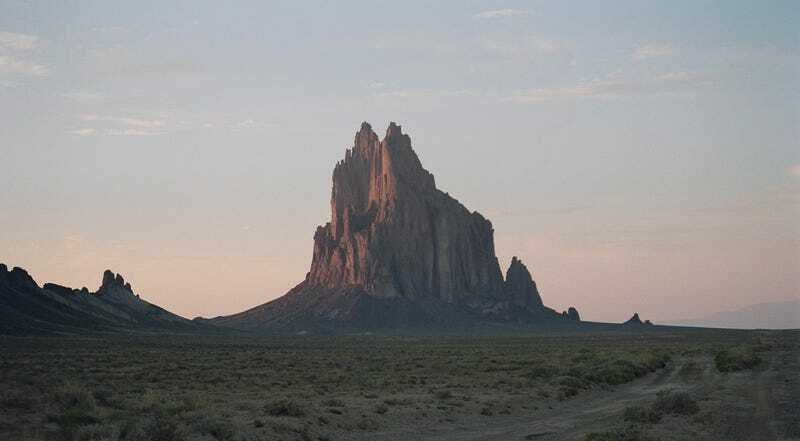 So high, in fact, that the little area around Shiprock, New Mexico ,was classified as having the highest methane concentration in the entire country. To narrow down the probable cause a little further, NASA, NOAA, and researchers from both the University of Michigan and the Cooperative Institute for Research in Environmental Sciences are making a more detailed map of just how the methane emissions are spread out over the area. With a better map, they hope they can also get a better idea of just what's going on. Image: Shiprock, NM via NASA.